The residual effects of the recession are still present in many regions where people are migrating from one industry to other in order to survive the economic crunch. For those people, reskilling is the only tool to make the transition from one industry to other. As a result of the recession of the past decade, many people switched their job and found better work opportunities. In 2009, the unemployment rate in the United States of America was recorded at (10.0%) which is the second highest after 1982. The financial crisis caused a big deal of impact on the job market and many people had to switch their job to get a better earning. The first step to reskill is to make an overview of the skills that you require in order to get into a specific industry. Do you want to develop communication skills because you are going to apply in the call center industry? Or are you going to apply for a technical job like computer programming that demands a dedicated certification or degree? Once you establish the nature of skills for your future job, you can then choose a course of action. Often people turn to professionals to get insights into a particular type of job and the required skills. The accessibility to online seminars, training videos, and blogs has made it easier for anyone to get knowledge about any subject. While this works for non-technical jobs like writing and blogging, it does not work for technical jobs. So if you are going to make a career in a technical field, it is better to seek a professional course than relying on the knowledge and insights of the industry experts. In today’s world of online education, it takes only a few months to get a professional certification on any subject. Learning the skills alone will not do any good to you. To master the newly-acquired skills, you need to get a hands-on experience in your specific field. Let’s say you want to make a career in an advertising agency as an ad film director. In the aforementioned case, you can’t expect a sudden career change. Your would-be job as an ad film director involves creative nurturing and technical training. So you have to work somewhere as an assistant director to learn the art of filmmaking. Therefore, if you want to hone the skills in any profession, you first have to learn the ins and outs of that particular job by getting some kind of work. As the famous quote goes, “practice makes a man perfect”, you can improve your skills only when you apply them in your daily life. Don’t wait for a job to practice your skills and do it at every given opportunity. Don’t hesitate to get some projects even if you don’t get paid for that. Let’s say you are a wannabe computer programmer and your wants some free work from you. Take it as an opportunity to apply your new skills. You’ll be glad to see the results of your newly-acquired skills. Similarly, you can create your own website or add some features in the existing website of your institution. All these things will help you strengthen your skills. While it does not directly apply to the reskilling process, it does have some influence on the transition of your career. Professional networking not only helps you fetch a good job, it also exposes you to your professional world. LinkedIn, Facebook, and Twitter offers you a good opportunity to get acquainted with people within your industry with whom you can learn many skills and get knowledge about your industry. Reskilling demands guidance, implementation, and practice. While we have done the first part, you need to get yourself ready for the rest of the job. Best of luck! This post is contributed by Anna Marsh! Anna Marsh is a Pro Blogger, Educator, and a Career Analyst. As an academic expert, she is known for serving A-class essay writing services to students. 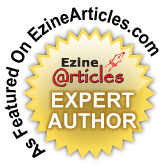 As a blogger, she is popular for writing in-depth and helpful articles on education, career, health, and lifestyle. You can get connected with her on Facebook, Twitter, and Google+. thanks for this inspiring article.. loved it..